In Eastern member states of the EU, a new monopoly on opinions is building up: populist governments and other vested interests are taking over large media holdings, state-financed broadcasters are used as state mouthpieces, and independent news outlets are struggling to make ends meet. Following an analysis of the worldwide trend of media capture, zooming in on some new EU member states exposes the threats that loom for the public spheres of young democracies. The overwhelming majority of the member states that joined the EU in the new millennium regained their freedom less than three decades ago. The authoritarian history of these countries meant that civil liberties were relatively unknown to the masses and journalists, apart from some renegades, did not even think of criticising their governments. Since two generations of journalists were socialised in (near-)totalitarian systems and the pre-World-War traditions of journalism were almost forgotten, critical press had to be built from scratch in the 1990s. Thus, it took quite some time before a new generation managed to spread new journalistic standards in a profession that remained dominated for many years by editors who learned the craft under the old system. This was a time in which Western donors mobilised 600 million dollars of philanthropic support for the region’s media, and the newly liberalising markets aroused the interests of foreign investors. Once the violent conflicts between the first local owners were settled, German companies as well as the British Maxwell, the Austrian Styria, the Swiss Ringier and Marquard and the Finnish Sanoma all bought into the new markets at different points. By the early 2000s, nearly 85 per cent of the media in Eastern and Central Europe was owned by foreign investors, three quarters of which were German. According to various journalism scholars such as Marc Stegherr and Kerstin Liesem, the majority of investors cared only for making profits in emerging markets – the Germany company WAZ showed a clear preference for investing in countries where antitrust laws were still in a rudimentary stage –, while they had no interest whatsoever in democratising the societies in which they were operating. Polish media researcher Angelika Wyka-Podkowka went as far as to say that foreign investors were “dulling public awareness” and “dumbing down” for the sake of profits. Despite this, many journalists today (mainly in Hungary, where media capture is the most developed) think of the times when foreign owners ran the market with nostalgia. In the ‘good old’ 1990s and early 2000s, when readers still bought their papers at newsstands, advertisers saw a value in placing advertisements in traditional (and not just social) media. While businesses were still profitable, most owners did not see the point of letting politicians interfere in the work of journalists. But the economic crisis and the rapid spread of the internet (combined with a lack of new, adapted business models) led many investors to re-evaluate their plans in Eastern and Central Europe. Most decided to sell their local outlets, and the buyers – directly or through middlemen – had an interest in using their newly acquired assets to directly influencing politics. Research conducted at the European University Institute shows how Slovenia and Hungary pose high risks to the political independence of their media, while most of the Eastern EU member states, alongside Italy and Greece, experience strong political control of the media. In Hungary, the first politically motivated acquisition took place in 2006, when the millionaire Gábor Széles acquired the liberal daily Magyar Hírlap, and gradually replaced the journalists with Viktor Orbán loyalists in hope of being rewarded with a seat in government if his political ally were to win an election (a dream that never came true, despite Orbán winning three consecutive national elections since 2010). Similar takeovers have since become commonplace in Hungary. In the Czech Republic, Martina Vojtěchovská, editor-in-chief of MediaGuru.cz, writes that the trend started with the investor Andrej Babiš (who later became Prime Minister) buying the publisher of two big national dailies: Mladá fronta Dnes and Lidové noviny. Babiš founded the political party ANO two years prior to the acquisition, and the national elections were scheduled to take place only a few months after the ownership change. Meanwhile, in Slovakia, one of the leading newspapers, SME, was bought by the Penta financial group, a company SME often reported on (as Penta was at the centre of one of the country’s biggest corruption scandals). In Romania, the exodus of foreign capital allowed a number of controversial businessmen to become media moguls. Political scientist Alina Mungiu-Pippidi and publisher Cristian Ghinea mention that this situation has even led to the emergence of a form of “blackmail media,” as Dan Diaconescu, the owner of an entertainment channel, was arrested for blackmailing a mayor in 2010. Dianescu was far from the only Romanian media baron weaponising media. The businessman Dan Voiculescu, who constructed his empire on the extensive network he built as a collaborator of the secret police in Communist times, was sent to prison in 2014 for money laundering. As a response, his media companies started attacking the judge involved in his case. And these are just examples of media where we know who is trying (with varying degrees of success) to interfere with reporting. But we cannot forget about the ‘shady owners’ of the region. Romanian journalist Paul Radu, director of the Organized Crime and Corruption Reporting Project (OCCRP), has summarised the findings of a research project of his organisation: based on an analysis of the most important outlets of 11 Central and South-Eastern European countries in the EU and its immediate neighbourhood, the number of news outlets owned through shell companies is on the rise, meaning that often audiences have no knowledge about the people – and agendas – behind a news outlet (according to Radu, coverage does indeed reflect the owners’ interests). Moreover, there are often cases in which media are owned by people with criminal records, and in Romania and Bulgaria there are many cases in which former members of the state security establishment are turning into media entrepreneurs. The EU plays a rather limited role in shaping the media landscapes of its Eastern members these days. The conditions for joining the EU provided strong incentives for aspiring members to create public service broadcasters and set the ground for media pluralism and independence from the state. Mungiu-Pippidi mentions that in pre-accession Romania, state advertisements were provided to friendly media outlets, which led to serious disruptions of the market. However, the European Commission’s criticism of the issue has led to the introduction of more transparent and much fairer financing mechanisms. These days, the Hungarian government is resorting to the same mechanism to indirectly support loyalist news outlets, but for the time being the EU is not trying to put an end to this practice. There is not much hope in the beneficial impacts of progressive regulation and state subsidies in situations in which the state itself poses the threat to the independence of the media. The Slovenian political scientists Marko Milosavljević and Melita Poler argue in their study that the public service media of the Western Balkans is still characterised by a “lack of editorial independence, reflected in politically biased, pro-government news content” as the small markets and weak economies of the region have made it impossible for these media to gain independence from those in power. Even in some countries where we might have witnessed positive trends in the past, a reversal has been visible. In the EU’s two illiberal states in the making, Hungary and Poland, one of the first steps of the populist governments has been to take complete control over the public broadcasters: the right-wing Law and Justice (PiS) and Fidesz governments have both established partisan media regulators and replaced the management of the public media with their own loyalists, thereby turning the outlets into their own mouthpieces. In Hungary, the maintenance of the transformed public broadcaster (which government critics label a propaganda outlet as its news programmes focus on the downsides of immigration and strongly emphasise EU- and Soros-bashing) costs about 280 million euros per year, which is all financed with taxpayers’ money. Western European public service broadcasters are not perfect either, but they still provide numerous examples of journalists being critical of those in power without facing consequences, while the license-fee financed model, for example practiced in Germany and the UK, shields the organisations from outside interference. There have also been troubling signs about the future independence of the public broadcaster in Slovakia: in spring 2018, the Parliament-appointed CEO of the organisation fired journalists who were critical of the management, with 12 reporters quitting in protest. But it is not just public media that can fall prey to would-be authoritarians. There are many ways to exert control over the private media as well, and here Hungary is a perfect case study. The Hungarian political outlets previously owned by foreign companies were bought up by the government’s loyalists (according to the calculations of Hungarian journalist Attila Bátorfy, 14 government-affiliated business people own close to 500 media outlets). In cases where the owners did not want to sell, additional tricks were used: the long-planned merger of the companies Axel Springer and Ringier was only permitted once the two companies sold their regional dailies, together with the country’s then biggest political daily, and the government also tried to put pressure on the owner of Hungary’s biggest commercial television station by imposing a new tax that would have deprived it of all its profits. And with more and more independent outlets disappearing, the government has a quasi-monopoly on information with biased or fabricated news coming free of charge to every household. While the overall outlook of the media market is rather bleak, the Hungarian government makes sure that friendly outlets are rewarded for the help they provide to the government. The easiest way to do this is by increasing the advertising budget of state institutions and putting pressure on commercial advertisers. Selective advertising spending has been a widespread practice in Hungary, as it allowed governments to subsidise their friends, without formally violating EU competition rules. However, the current extent is unprecedented. In Hungary, the state has become the biggest advertiser, at times accounting for to up to 80 per cent of a friendly news outlet’s advertising revenues, while many firms refrain from advertising in critical outlets for fear of repercussion from the government. The same trend (although to a much smaller extent as PiS leader Jarosław Kaczyński is – for now – less prone to corruption than Orbán) can be seen in Poland as well, where the liberal daily Gazeta Wyborcza saw its advertising revenue drop almost 15 per cent from March 2015 to March 2016, while the government-friendly daily Rzeczpospolita has increased its advertising revenues by almost 50 per cent. And who knows how far this model can spread, as Orbán’s people already started investing in media outlets abroad who are supportive of the Slovenian populist Janez Janša. It is unlikely they would do so without expecting something in return. By now it is more than obvious that the overall positive trend of media development in the Eastern EU member states has stalled. In the first decade and a half of democracy, foreign owners (even if not on purpose) helped media holdings untie themselves from the state, requirements set by the EU and the Council of Europe for future EU members led states to establish something that at least resembled a public service broadcaster, while Western-government-funded training allowed young media workers to learn about best practices. However, these conditions have ceased to exist. The transformation of the media market has driven away most investors as the region’s tiny economies failed to promise many profits for the future (except perhaps Poland with its 38 million citizens). The EU has proven to be a lame duck when it came to securing democracy and civil liberties in countries that have already joined the club. Foreign donors decided to invest their money in countries in Africa or Asia, where there is a greater need for their assistance (while the few that decided to stay are harassed by populist governments). But even in this new, increasingly hostile environment, in which independent newspapers are unable to operate, where access to audiences is made ever harder, and where investigative journalists are confronted with a new reality in which they might face bloody revenge for their work, there is some light at the end of the tunnel. Many journalists who learned the craft in the 1990s and 2000s are still determined to do quality work, no matter how their governments and oligarchs try to pressure them. Many of today’s new independent news sites are founded by journalists whose work in legacy media outlets was stalled by intrusions from those in power, and in order to stay alive, many of them are relying on a range of alternative funding models, such as membership-based financing or crowdfunding. In Slovakia, Dennik N, a news site founded by journalists whose newsroom was taken over by a politically exposed investor, has turned into a success story, both financially and in terms of impact. Still-existing independent media are trying to do as much as possible with limited resources; investigative start-ups are mushrooming all over the region, with increased cooperation between journalists of different nationalities, thanks to cross-border initiatives like Vsquare and OCCRP. Opinion and analysis-based sites, like Merce.hu and Krytyka Polityczna, founded by activists with limited experience in the traditional media have managed to become important reference points for the progressive youth of their respective countries. Their existence shows that the know-how and the potential for a democratic public sphere is present in the region. Nevertheless, it needs a functioning strategy and some help from European partners in order to become a counterbalance to authoritarians, trolls, populists, and other enemies of democracy, whose messages are flooding our news-stands, TV sets, smartphones, and computers. At the moment, independent media is just one of many news consumption options, and far from the most obvious one for a large part of the audience who rely on old habits of media consumption, and who may not be comfortable with locating the most reliable information source on the internet or even on the newsstands – especially when yesterday’s reliable news source can turn into tomorrow’s propagandist. In this context, EU institutions could do way more to secure media freedom in new member states – including pointing out deficiencies, holding governments to account, and acknowledging that in the current dire times, free media needs subsidies to survive. Remaining passive on the matter will mean that a growing number of EU citizens will be forced to make uninformed decisions on the future of their democracies, further cementing the power of the Orbáns of Europe – and who could blame them if their understanding of the world is shaped by the shady narratives capturing ever more of the media landscape? German companies included Springer, Gruner & Jahr, Burda, Handelsblatt, and WAZ, among others. See Marc Stegherr and Kerstin Liesem, The Media in Eastern Europe (2010). Details about my research can be found here. You can read more about the issues in the Heinrich Böll Foundation’s special “Focus on Hungary.” The latest article on media freedom in the country can be accessed here. The journalist Attila Batorfy has written an exhaustive analysis, with lots of graphs and visualisations that show how Lajos Simicska, a former Hungarian media mogul, was subsidised by the government. You can access the English language article here. An exhaustive analysis can be found here. 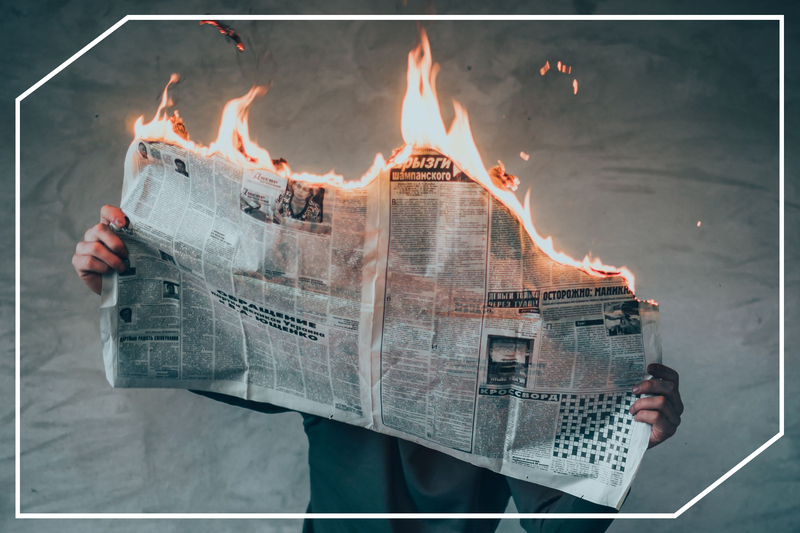 While the European Commission is supporting restrictive measures to tackle the spread of false news online, independent and critical media are being left to survive on their own in the face of hostility. In a Europe threatened with rising nationalism, trans-European media could present an ambitious project to transcend borders and language barriers, connecting citizens.